First aid for industrial robots - Robotikservis s.r.o. - this is how service in every technical sector should look like. At Robotikservis we have been following this approach from the outset and therefore our slogan „Everything for industrial robots" fully reflects our intent. 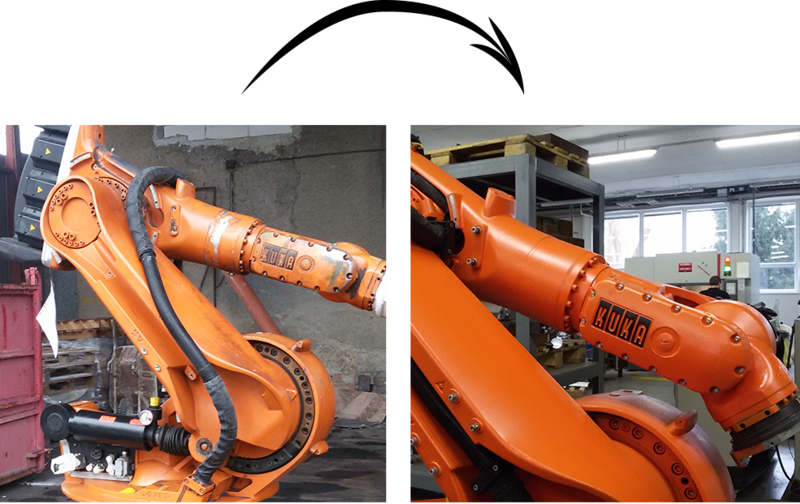 Servicing of industrial robots, programming, software creation, complete spare parts portfolio or tuning of rebuilt engines - not only do we offer it, we do it ourselves. In short, everything in one place and from one company for the utmost customer satisfaction. We do not change the entire gearbox just because a single bearing is faulty. We approach the service professionally and with common sense. The fact that the robot is not in operation is a major economic downturn for the company and therefore we do everything ourselves and within the shortest time possible. „Can you imagine the trouble when one robot in a row stops working?” I told this to my colleague during our visit to the operation facility with industrial robots. It was where the idea of Robotikservis was created as a complete and, above all, fast robot service.